Even the most monumental house of worship will one day return to earth. Churches serve as gathering places for communities throughout the world; they host celebrations, meditations, baptisms, and funerals. Yet even the grandest cathedral can fade after years of service—at which point the building slowly returns to earth. Often, these holy sites possess a cemetery… an arguably eerier site, when left to the regrowth of vegetation and the passing of time. Check out these abandoned churches and cemeteries from around the world; they’re snapshots of once-vibrant houses of worship, now vanishing into the landscape, and history. Almost a thousand years ago, Hirsau Abbey (once, Hirschau Abbey) was one of the most important abbeys of Benedictine Germany. 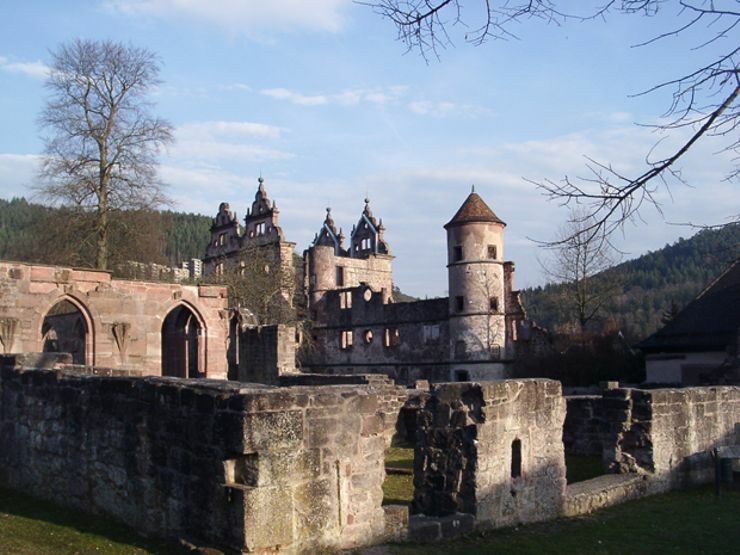 Its first chapel was built along the northern edge of the Black Forest in the 8th century. By the 12th century, the monastery was a place of great religious power and reform. 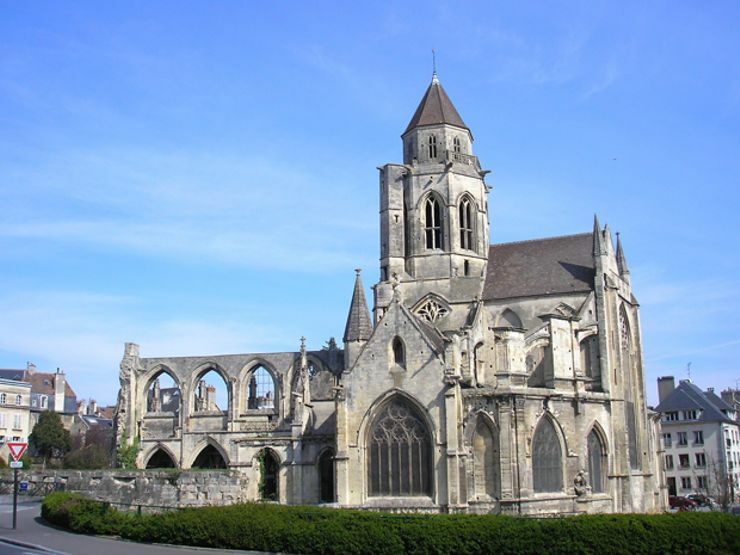 However, in 1692 during the War of the Palatine Succession, the Abbey was ravaged, and never restored. One of the oldest Jewish burial sites in the United States, the Bayside-Acacia Cemetery was founded in the mid-1800s, and includes bodies of military personnel from the Civil War. 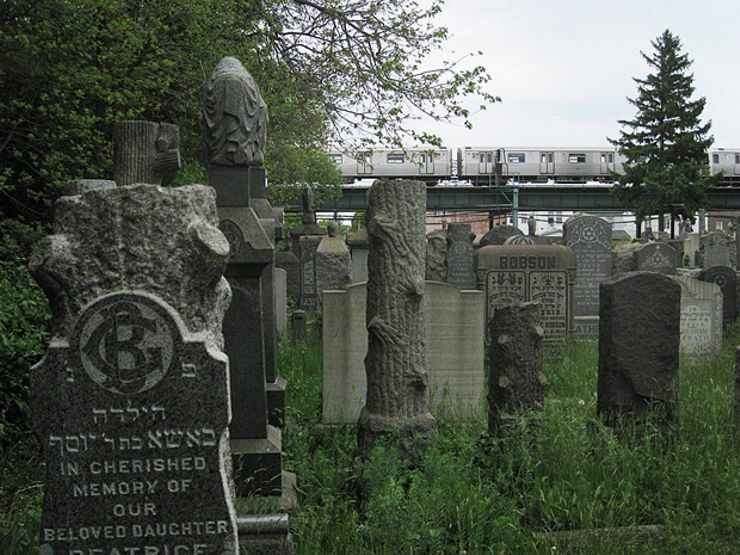 Yet as the Big Apple blossomed into the modern metropolis it is today this historic burial ground fell by the wayside, crowded out by elevated train lines, housing developments, and untended growth. The smaller Acacia Cemetery neighbors Bayside-Acacia, and both have slowly been taken over by the natural world. Established in 1067 by William the Conqueror, this beautiful old church stands as a signpost to multiple moments of French history. The church’s Gothic construction points the time period in which it was built, while the current deterioration of the building displays the ravages of WWII, when the village and its church were bombed, and never fully recovered. 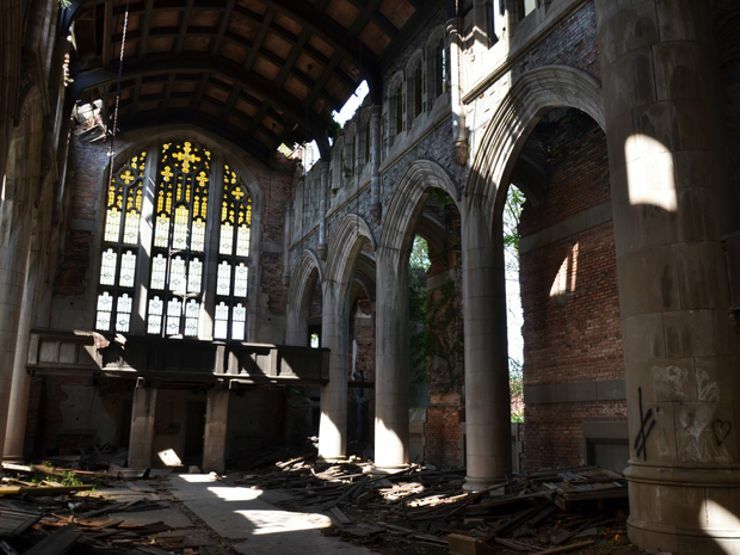 The city popularized by the 1962 musical The Music Man, Gary, Indiana is now home to a ghostly and abandoned old church. Built in 1925, the church is a shining example of what money could buy in the booming 1920s. But by the 1970s, as Gary’s steel industry collapsed and its population declined, this enormous house of worship became a financial burden on its shrinking congregation. City United’s tall gothic steeples are now an iconic piece of Gary’s skyline, abandoned for nearly forty years. 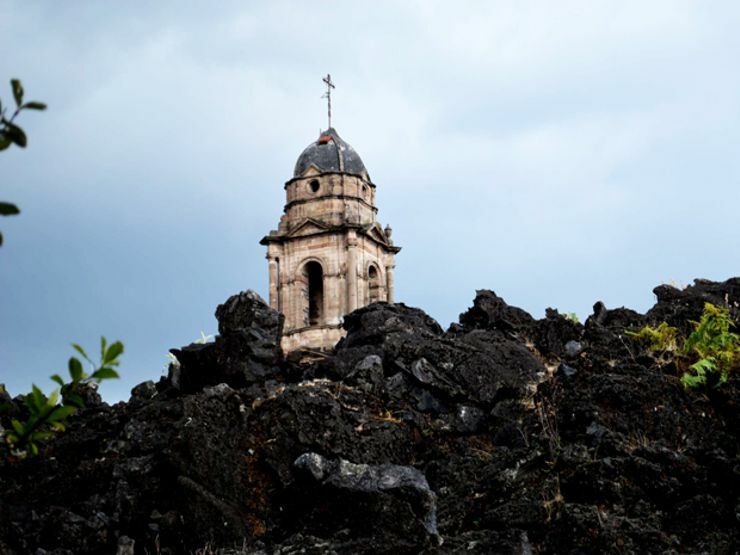 In the central Mexican state of Michoacán, an unexpected volcano eruption began in 1943… and continued for eight years! The inhabitants of San Juan Parangaricutiro were all able to escape unscathed, but their small village was completely buried in a layer of lava and ash. All, that is, except for the top spires of their church, which continue to protrude over the hardened lava today. 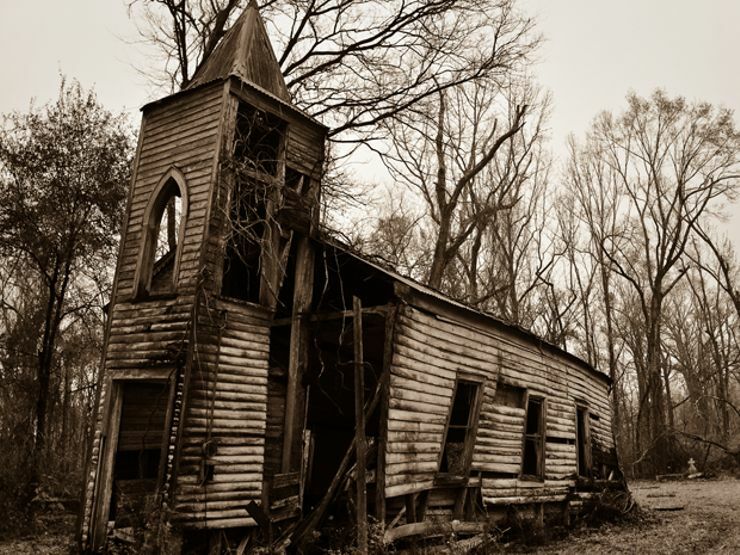 This collapsing wooden church in the lush forest of Chackbay, Louisiana inspires haunting visions of what local worship must have looked like took in years prior. Built in 1883 by and for slaves, it was known as both St. Luke Baptist and Little Zion Baptist Church, and had regular attendance until well into the twentieth century. The church was finally abandoned in 1970, following the retirement of its pastor and the migration of its congregation to other churches. 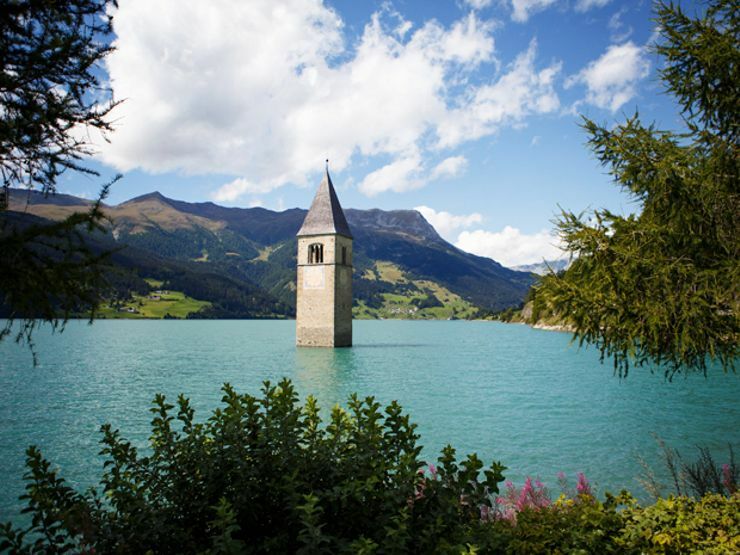 The near-entirely submerged Church of Curon is a truly peculiar sight; the lone bell tower looms over the smooth water of Italy’s Lake Resia. The original town of Curon was flooded in the mid-1950s to connect Lakes Curon and Resia—a damming project with the goal of electricity production. The church, built at the end of the 1300s, sunk beneath the rising water levels, and its tower now serves as the last visible symbol of the town of Curon. In the winter, the lake freezes and you can walk right up to the walls of the tower. An extremely old abbey, this house of God rose and fell hundreds of years ago. Established in 1131 by the powerful Clare family, the monastery was inhabited by Cistercian Monks (or White Monks) and followed the order of St. Benedict. The Abbey was a place of religious devotion until 1536, when it—along with other Catholic abbeys—was emptied after the Dissolution of the Monasteries and the rise of the Henry the VIII as Supreme Head of the Church of England. 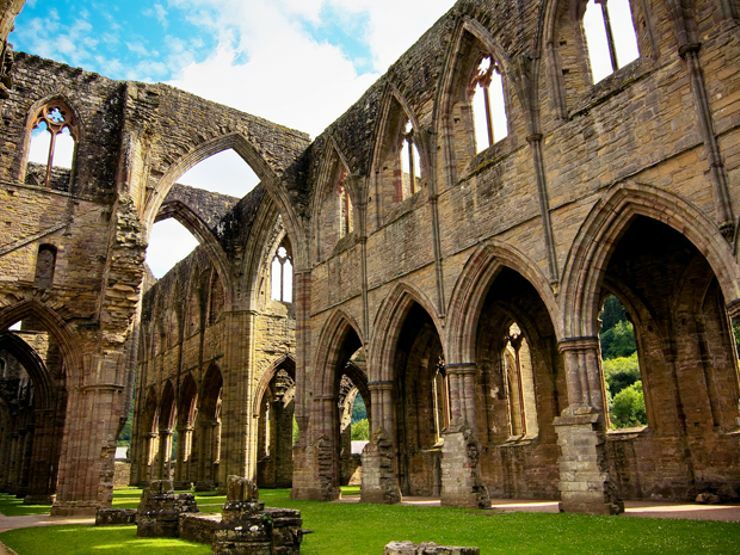 While Tintern has been the inspiration behind numerous poems, paintings, and photographs, it remains in ruin, though ownership has changed hands a few times.